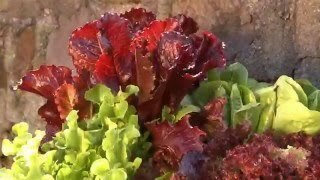 Crisp fresh lettuce right from your own garden. Cook's Garden Favorite. It takes the right varieties to survive the low light and low temperature conditions of fall and winter. 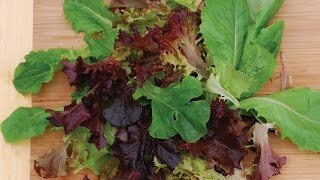 This exclusive mix of our best fall and winter lettuces contains just what you'll need to extend the salad season. Lettuce, Fall & Winter Blend is rated 5.0 out of 5 by 2. Rated 5 out of 5 by Bluehairedlady from Loving the lettuce It is the middle of October here in Northern Michigan and I am still picking fresh lettuce every day! Rated 5 out of 5 by MamaFarmer from Long Lasing It is good to have a winter blend to cover the cooler months of November on. Stays green even in a frost. It remains fresh for over a week in the refrigerator.